01Where can I learn more about analytics, Machine Learning, Big Data or IOT? 02What kind of salary can I expect after completing an analytics course? The global average salary for data scientists is upwards of USD $100,000, while in India, average salaries range between 10 and 12 lakhs per annum depending on the company and its location. Entry level salaries in analytics have grown by more than 200% in the last 7-8 years and can fall anywhere between 6.5 and 9 lakhs. 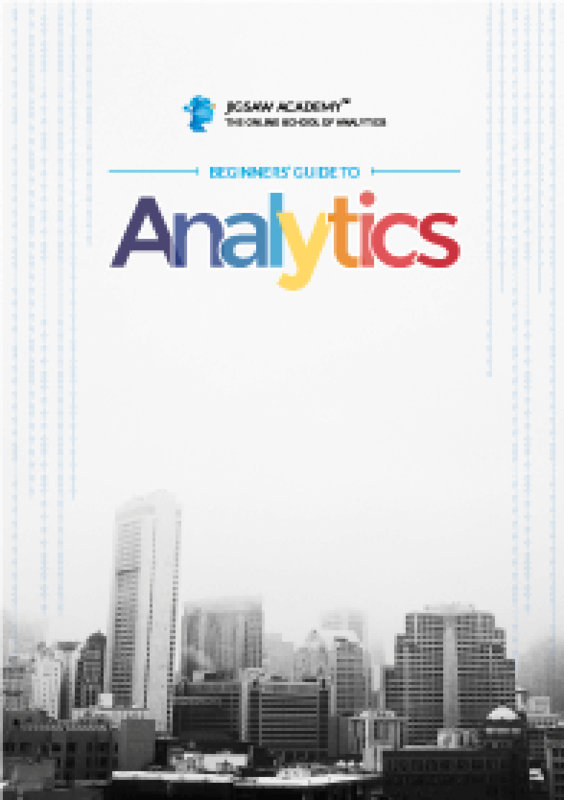 Read more about analytics and download the annual analytics industry & salaries report here. 01Do you offer any scholarships or subsidized fees for certain courses? We do have scholarships or subsidized fees for our long-term programs like the PGPDM in collaboration with the University of Chicago and the in-person Bootcamps, however they are usually in association with a corporate partner and are available only for a limited time. If you would like any more information, please contact us at +91 9019217000. 02Can the fee be paid in instalments? EMI options are available on select credit cards. For more options, especially for our Long Term programs, please contact us at +91 9019217000. 03What are the different modes of payment available for enrolment? 04What are the payment options? You can pay for the entire program or course upfront; or pay individually for each course as you progress. 05What is the refund policy? Individual courses / course combinations / programs that have an in-person component OR have a hardware competent / kit OR have less than 10 hours in duration OR are priced less than INR 25,000 are not eligible for refund. If you enroll for a Full Stack program, you can receive a full refund amount (excluding the price of the kit if it is the Full Stack IOT program), if a refund request is placed up to a maximum of 7 days (one week) after payment. For any other queries, please reach out to our support team. Please refer to the Course Cancellation & Refund Policy in the Terms and Conditions page for additional details. 06Do you offer any scholarships or subsidised fees for certain courses? 01How much time will it take to get access to my course after payment? After payment, students need to setup their access. Once we have your access details, it will be system-enabled within a maximum of 2 days. 02What prior qualifications do I need for learning analytics? 01What is IBM’s association with Jigsaw Academy? IBM is a corporate and edtech partner of Jigsaw Academy. They are involved in broad curriculum design for relevant modules, case studies that have been integrated as part of the learning paths and free access to IBM platforms for cognitive class modules for which students will receive certification independently of the Jigsaw certification. 02Do I require any prior knowledge for studying any of the Big Data courses? For any of the Big Data courses, past exposure to SQL and any programming language or programming concepts is desired. Prior knowledge of Linux is also helpful, but not mandatory. For advanced Big Data courses, exposure to SQL and programming preferably in Python is important. Familiarity with Hadoop specifically Hive would also be helpful. If you have specific questions regarding eligibility or prerequisites for any program, please contact us at +91 9019217000. 03What is the Post Graduate Program in Data Science & Machine Learning (PGPDM)? The PGPDM is the most specialized data science and machine learning course in India, the Postgraduate Program in Data Science and Machine Learning (PGPDM), by the University of Chicago’s Graham School, the professional division of one of the top-ranked universities in the US; IBM, the global technology leader; and Jigsaw Academy, India’s top online school for analytics. The program is a blend of data science, business analytics, visualization and project management education with the application of advanced analytics models for artificial intelligence, deep learning and cognitive computing. Read more about the PGPDM here. 04What is the Integrated Program in Business Analytics (IPBA)? The Integrated Program in Business Analytics (IPBA) is an IIM Indore program, and blends traditional management principles with cutting-edge technology coverage. It includes a comprehensive education in data science, business analytics, visualization, Big Data and machine learning.This program is better suited to students who are looking for more flexibility in their learning schedules and who may find it difficult to commit to fixed in-person classes. It is a primarily online program and is highly adaptable based on the requirements of the learner. 05What are the advantages of a long-term program over a Full Stack program? 06What are Full Stack Programs? Full Stack Programs help you know which courses to take in what specific order, so that you can work toward a specific job role. Jigsaw Academy has crafted certain programs based on the skills that are in demand in the industry. You can maximize your chances of entering the field of analytics, Big Data, Machine Learning and Artificial Intelligence with these customized combinations of courses. 07Why should I go for a Full Stack Program instead of one single course? Full Stack Programs are designed to give you the combination of skills that’s most in-demand in the industry. For example, the Full Stack Data Science will equip you with the knowledge of multiple tools like R, Python and Excel. This combination will give you a better chance of entering the field of analytics than learning a single course. You can speak to a Jigsaw Academy counselor if you still have questions. 08I want a combination of courses that’s not in any of the Full Stack Programs. What shouId I do? You can enroll for multiple courses on our website or you can speak to a Jigsaw counselor who can help you create your own personal learning path. However, you need to complete a few courses in order to take up the advanced level. 09How do I choose between a Full Stack Program and a course? Whether you choose a Full Stack Program or a course will depend on your learning goal. You can speak to a Jigsaw Academy counselor at +91 90192 17000 if you still have questions. 10What happens if I miss a class? Online classes are not recorded. If you miss a class, you will not have access to the same class. However, the course content is similar to our pre-recorded video content in the JLC. Students can refer to the JLC and cover the topics missed. Please note: Some programs like Bootcamps (in-person classroom training) and PGPDM (program in collaboration with the University of Chicago) also have a minimum attendance requirement. If you do not attend the required number of classes, you will not be eligible for the final certificate. 11What if I need more time to complete the course? Paid extensions in the access period are available only in certain circumstances. Access extensions can be taken only in the last month before the official access period ends and can be granted only upon a written request. Management reserves the right to accept or reject extension request on case-to-case basis. Fee for each month of extension is INR 5,000 + GST and is available for up to three months only. Extensions cannot be provided beyond a period of three months from the initial course access close date under any circumstance. Extensions are not available for the PGPDM (program in collaboration with the University of Chicago) and for programs with an in-person component like the Bootcamps. Please refer to the Course Access Period in the Terms and Conditions page for additional details. 01Why should I learn from Jigsaw Academy? 02How do I choose which program works for me? Our programs and courses range across duration, mode of delivery and span from Beginner to Advanced levels. We recommend using our Path Selector to identify which would be the right program for you, based on your experience and requirements. 03What is the Jigsaw Lab? Jigsaw Academy focuses on teaching through hands-on practice and case studies. We emphasize that students ought to gain hands-on experience using the latest analytical tools. The Jigsaw Lab will let you work on R, Python, Hadoop, Tableau or any other analytics tool from your own laptop or in our cloud-based lab. For all the tools, we have ‘how-to’ videos and instruction material that help students download and install the tool in their own laptops. In addition, for R as well as Python, we also offer a cloud based lab. 04What is a Capstone project? A Capstone project is a multifaceted assignment that serves as a culminating academic and intellectual experience for students, typically at the end of an academic program or learning-pathway experience. It helps you practice, apply, and showcase the skills you’ve learned. 05How does online training work? How can I practice on R or Python or any other tool online? We will be providing several ‘how-to’ videos and instruction material as part of the learning material so that you can practice on the exercises shown in the videos during the program. We advise students to work on the tool alongside the instructor for maximum learning effectiveness. There will also be a capstone project which you will have to work on that will aggregate all the learnings till then. 06How can I solve any doubts or problems I have related to the course content? 07Does Jigsaw Academy have any in-person training programs that I can enrol for? We offer in-person classroom training for students who find it easier to learn in a structured, intensive format in the form of our Bootcamps. Read more about our upcoming Bootcamps here. 08Are there any group discounts for these in-person / classroom training programs? We do offer group discounts for all our programs – online and in-person, except the PGPDM, which is our program in collaboration with the University of Chicago. For more information, please contact us at +91 9019217000. 09For how long will I have access to Jigsaw Lab and the Jigsaw Learning Centre? Access durations to the Jigsaw Learning Centre and Lab are dependent on the course / program that you have chosen. They have been fixed based on the average time taken to complete the program. In our experience, we have seen that most of our students have had access to course materials for more than 2-3 months post completion of their learning. You will need to refer each individual program page for the details. 10What kind of system configuration do I need for the online / in-person learning programs? Internet Speed – Minimum 2 Mbps (We recommend a LAN connection for constant internet bandwidth). Note: For in-person trainings, any required internet connections will be provided by us. 11Who are the faculty members for courses taught by Jigsaw Academy? The faculty team at Jigsaw Academy is composed of industry stalwarts, lifelong educators, and data enthusiasts. They have worked in a diverse range of domains including retail, eCommerce, FMCG and telecommunications. Each of them has been in the analytics space for at least a decade, and this cumulative wealth of experience makes them the driving force behind the expert training students receive at Jigsaw Academy. 12Can all students avail of the 24×7 faculty & technical support? Jigsaw Academy offers a 24×7 student ticketing system where students can raise tickets for faculty & technical support. Live technical support via chat or call is also available between 10 AM and 7 PM on all days. Faculty support is available via the ticketing system. We host live question and answer sessions with faculty regularly as well. C.o.D.E stands for Centre of Data Excellence, and is our centre for in-person classroom learning. It is an exclusive space at our Bangalore office where ideas of tomorrow are brainstormed and worked on. From our in-person bootcamp programs to discussions on data science and workshops on IOT to AI and machine learning, here is where enthusiasts meet, discuss and collaborate. Get in touch with us at info@jigsawacademy.com if you would like to conduct events or meetups here. 01How I will get my hardware kit? The IOT hardware kit is included with your enrollment and will be shipped by Jigsaw Academy (only within India). There are separate kits available depending on your choice of specialization. Please visit our courses section on the IOT website (https://www.jigsawacademy.com/IOT/courses) for more information. 02How long will it take to receive my IOT hardware kit? Please note that it will take at least 21 days from the date of enrollment for delivery of the kit. 03I would like to purchase components on my own? How can I do that? The IOT kit provided with the course contains all the necessary equipment that you will need to learn. We advise using our kit for best learning results. 04What kind of system configuration do I need for the IOT programs? The actual computing will actually take place either on the IOT devices or cloud hosted servers. For development, you don’t need a super computer, any modern home / office machine will be enough! 05Is it possible for me to just do a part of the IOT program – like the analytics part? Through our extensive industry interactions, it has become apparent that the IOT industry is looking for professionals who are exposed to the all 4 layers of IOT – i.e. IOT devices and sensors, IOT Gateway and Networking, IOT Cloud Computing and Advanced Analytics using Machine Learning. The Full Stack IOT program covers all 4 layers. However if you already have IOT analytics experience, we recommend enrolling for the IOT Professional program which only covers the first 3 layers. Conversely, if you already have a strong foundation in IOT and are looking for a more advanced analytics course, then we recommend the IOT Analyst. For more information, please contact us at +91 9019317000. 06What kind of hardware will be used for this training? The kit will contain an Arduino and a Raspberry Pi along with sensors and other basic electronic circuit components such as the breadboard, resistors etc. 07Will there be any replacement if any of the components don’t work? In case you receive damaged or defective products, please report the same to our support team. This should be reported within 7 days of receiving the damaged / malfunctioning products. Please note that this policy only covers replacements for eligible products that are defective, or that were not shipped as ordered. It will not cover routine product wear and tear, damage incurred during use or any other forms of damage and will not, in any event, entitle you to a refund, whether partial or otherwise. 08Who can take up this course? The Internet of Things is applicable to all verticals and specializations. Anyone with basic programming skills can take up Jigsaw’s IOT courses. 09How helpful will these courses be in the real job scenario? The IOT courses by Jigsaw have been designed by industry veterans who have a good understanding of IOT and have rich work experience in IOT related domains. We have taken extensive industry feedback on the course content to cover concepts which will be relevant and much needed in your actual job roles. For any specific IOT queries, you can talk to us at +91 90193 17000. 10How does online training in IOT work? How will you give hardware training online? We will be providing several ‘how-to’ videos and instruction material as part of the learning material so that you can practice on the exercises shown in the videos during the course. We advise students to work on the hardware alongside the instructor for maximum learning effectiveness. There will also be a capstone project which you will have to work on that will aggregate all the learnings till then. 11How long will it take to receive my IOT hardware kit? Please note that it will take at least 10 days from the date of enrollment for delivery of the kit. 12Is it possible for me to just do a part of the IOT program – like the analytics part? 13What kind of system configuration do I need for the IOT programs? 14By when will I get my certificate after course completion? Upon completion of your specialization, you need to apply for a certification test. Once you have successfully cleared the certification test, you will get your certificate within 1 month. 15How helpful will these courses be in the real job scenario? The IOT courses by Jigsaw have been designed by industry veterans who have a good understanding of IOT and have rich work experience in IOT related domains. We have taken extensive industry feedback on the course content to cover concepts which will be relevant and much needed in your actual job roles. Each of our specializations is mapped to specific job roles and prepares you accordingly. You can speak to a Jigsaw Academy counselor at +91 90193 17000 if you still have any queries. 16What is a Capstone project? 17Is this an online course? How will you give hardware training online? You will be part of the revolutionary Catalyst approach to learning. We will be providing several ‘how-to’ videos and instruction material as part of the learning material so that you can practice on the exercises shown in the videos during the course. We advise students to work on the hardware alongside the instructor for maximum learning effectiveness. There will also be a capstone project which you will have to work on that will aggregate all the learnings till then. 18How to solve my doubts during the course? Doubts can be asked via forum, email or chat sessions (Google hangouts). Once the course is over, you can still get in touch with us via email. 19Do I get a certificate at the end of my course? Yes, you will get a certificate at the end of every specialization from Jigsaw (except for IOT Beginners). For more details, you can check the Certification section of each of the specializations you’re enrolling for. 20Who can take up this course? The Internet of Things is applicable to all verticals and specializations. That’s the beauty and attraction of IOT. Anyone with basic programming skills can take up Jigsaw’s IOT courses. 01How does Jigsaw training work? The courses at Jigsaw Academy range from Beginner to Advanced levels. You can also choose your preferred mode of learning. Please review the How it Works section for details. The Jigsaw Lab is a unique cloud-based solution that lets students gain hands-on experience using the latest analytical tools. The Jigsaw Lab will let you work on SAS, R, Python, Hadoop or any other analytics tool from your own laptop. 01Do I get a certificate at the end of my course? Yes, you will get a certificate at the end of every program and course from Jigsaw (except trial courses). For more details, you can check the Certification section in each program or course. 02By when will I get my certificate after course completion? Upon completion of your course, you need to apply for course certification test. Once you have successfully cleared the certification test, you will get your certificate within 1 month. 03Is the Jigsaw Academy certificate recognized by the industry? Jigsaw Academy is the preferred training and hiring partner for the top analytics companies in India. Jigsaw Academy certification is widely regarded as the best global certification in analytics and big data. Read here about students who have successfully transitioned to careers in data analytics after enrolling for programs with us. 04Do you help with placements? Our courses have been custom-created keeping in mind industry requirements. We will assist you in identifying the right opportunities based on the skill sets you will gain through our courses. We also post job openings from companies that reach out to us directly that all certified students can apply to. Read more about our placement statistics here. 05What kind of career assistance does Jigsaw offer? Yes, you will get a certificate at the end of every Jigsaw course. You can check the What You Get section of the course you’re enrolling for, for more details. Jigsaw Academy is the preferred training and hiring partner for the top analytics companies in India. Jigsaw Academy certification is widely regarded as the best global certification in analytics and big data. To learn more about how Jigsaw Academy certification helps in career growth visit our Success Stories section. In case you still have any unanswered questions, we encourage you to register for the upcoming webinar.